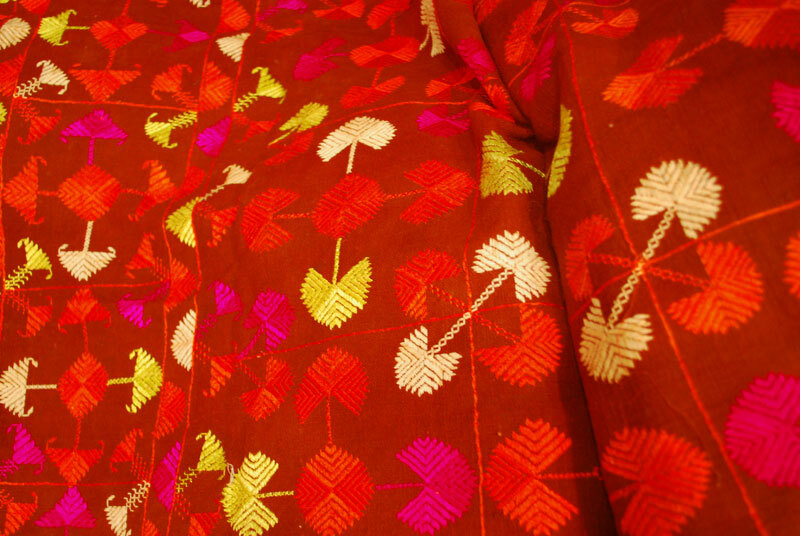 Phulkari plays a very important role in a girl’s life. 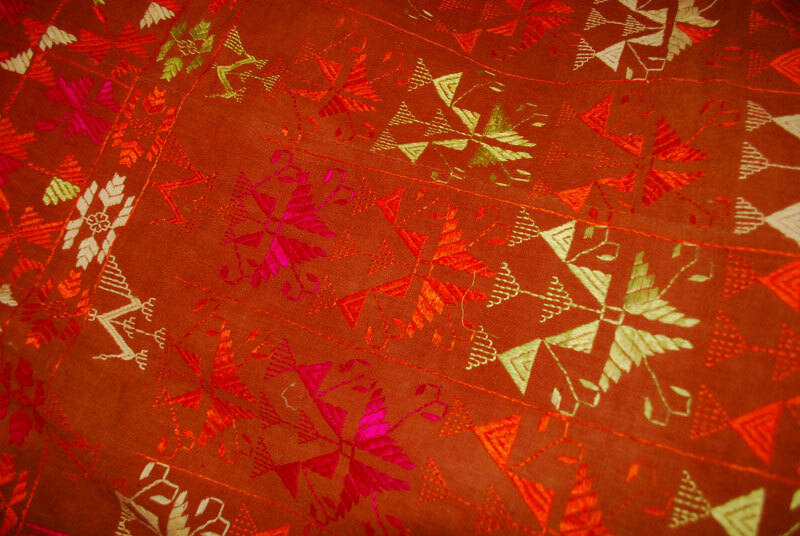 Birth of a girl marks the beginning of the child’s grandmother of the task in creating the future bride’s trousseau, which is worn by the bride when she walks around the sacred fire during her wedding ceremony. 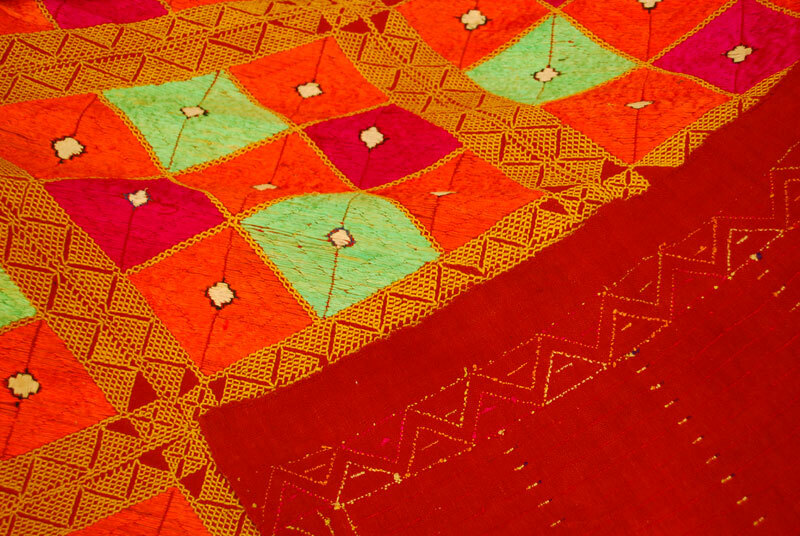 When a woman gives birth to a boy she is given a Phulkari which is worn by her when she goes out for the first time after delivery, and during any religious festivals. 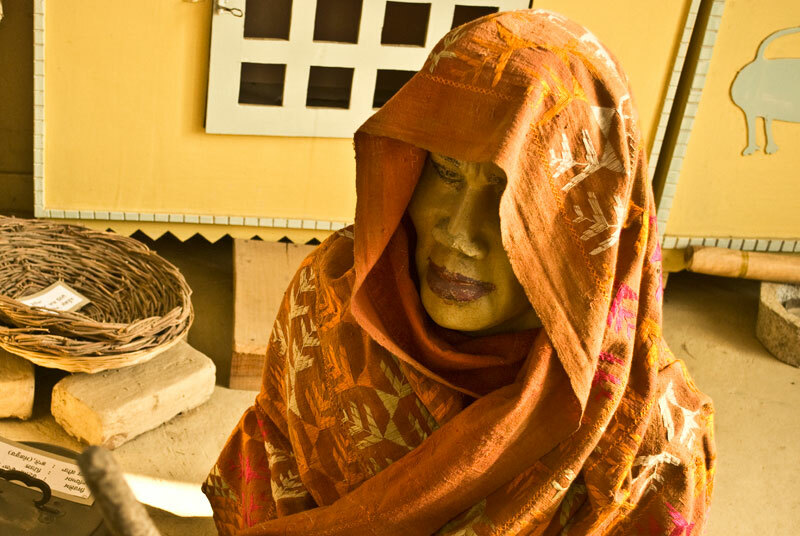 Likewise when a lady dies her body is covered with Phulkari. 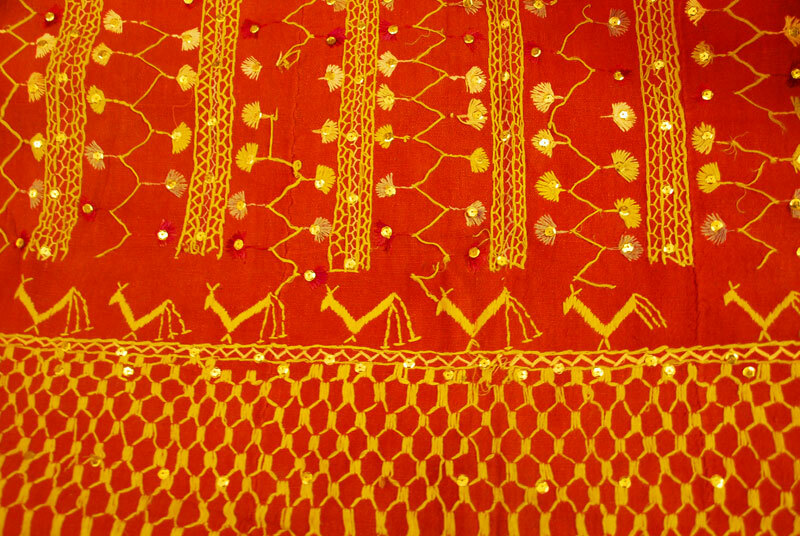 Embroidering on the rough coarse material “khaddar” reflects the tough, hard nature of the Punjabi women. Use of bright colours portrayed the colourful life and the use of different motifs reflected their observation, their imagination. 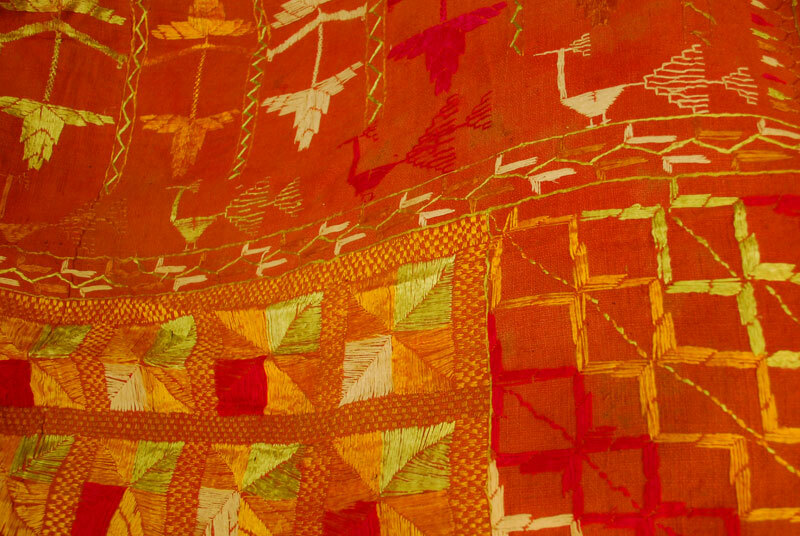 Wearing a “Phulkari” adds delicacy, grace, simplicity to their heavy build personality.